Antique rose gold night & day bracelet. Product code: 1009 Categories: Sold Items, Sold Jewellery. This is a truly sensational antique bracelet made around 1900 in 9ct rose gold in the stunning night and day pattern with a bit of a difference to most. Traditionally the night and day bracelets had engraving on one side and plain on the other to allow a different look during the day and a different look during the evenings, yet this one follows that style and is unique by having a series of three links engraved on one side, then three links plain on the same side. Furthermore, the width of each link is fabulous! Each link measures 13.6mm wide, far wider than most other antique curb link braclets, and looks so elegant on when it is worn on the wrist. 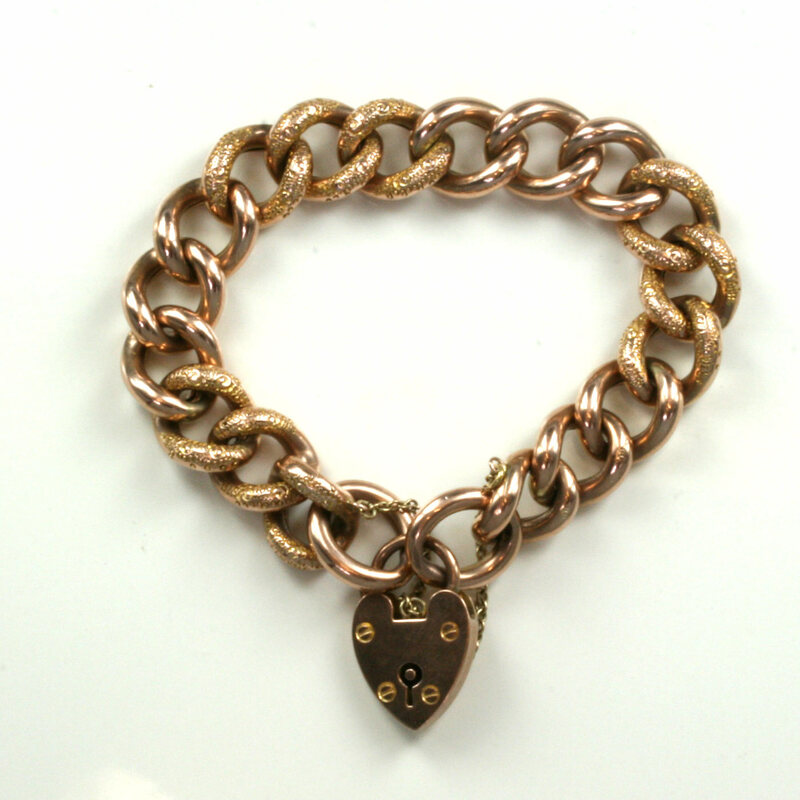 With the original heart shaped padlock, this wonderful antique late Victorian/early Edwardian night and day bracelet is divine.